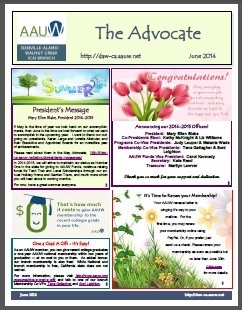 Download our June 2014 Advocate: To read and print out our newsletter, click the image. Please be patient, the file size is fairly large. Please renew your membership this month! There will not be any newsletter for July 2014. Submission deadline for the August 2014 issue of The Advocate is July 15. Please provide all website, newsletter or calendar submission through our submittal webpage.